Thank you for choosing Mercedes-Benz of Fairfield, where our highly trained staff is excited about the opportunity to earn your business. At our dealership, located near Westport, Weston, Wilton, Norwalk, and Bridgeport, you’ll always find a comprehensive lineup of new Mercedes-Benz vehicles in stock, including a variety of GLA models as well as popular C-Class, E-Class, S-Class options. We’ve also selected a variety of high quality pre-owned luxury cars and certified pre-owned models. Our team will always work as hard as we can to reflect the apex of customer service in everything we do. We want to make sure that shopping for, buying, and driving your Mercedes-Benz is as enjoyable as it’s supposed to be. Stop by to take a tour of our pristine lineup, take a test drive of as many models as you would like, and stop into our finance department to find out about our many financing options. 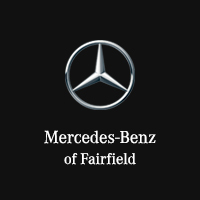 When you work with Mercedes-Benz of Fairfield, you never have to worry about being without a professional technicians at your disposal. Our Mercedes-Benz service department has a vast range of state-of-the-art diagnostics and repairs equipment in stock, as well as a variety of service bays to make sure our customers never have to wait longer than necessary. You’ll also have access to our Mercedes-Benz loaner models if your vehicle requires more extensive service. Our dealership is open for sales Monday through Saturday, and we’re always ready and excited to meet all your luxury auto needs. We’re located at 165 Commerce Dr in Fairfield, CT, and you can always reach out to us with questions.